Seen in a Virtual Center HA environment – even after selecting “Reconfigure for HA” on the ESX host. cmd addnode failed for the primary node:Internal AAM error – agent could not start – Unknown HA error. Cannot complete the configuration of the HA agent on the host – See the task details for additional information. 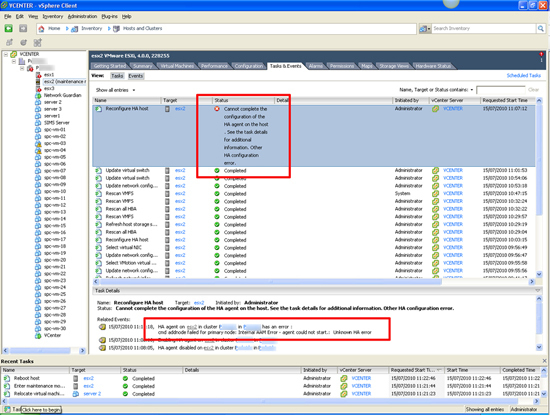 Other HA configuration error. 1. How you proceed depends on your infrastructure. 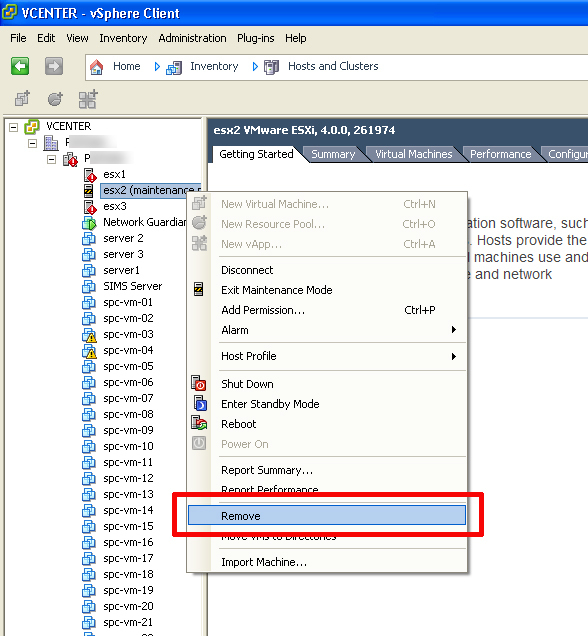 If possible, using vMotion/Migrate all the guest machines on this host, to your other ESX hosts. (Note: if that’s no an option you will need to shut down the guest machines). 2. Put the offending ESX host into maintenance mode (Right click it enter select maintenance mode). 3. Assuming you are connected to the Virtual Center, right click the offending host and select “remove”. 4. 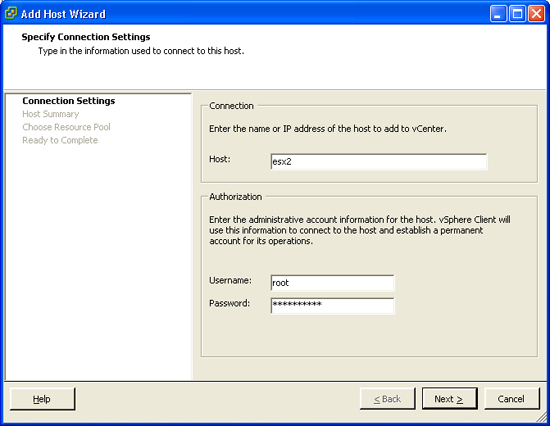 Then add it back to the cluster (Right click the cluster and select “Add Host”). 5. HA will be reconfigured on the host as its added back in.